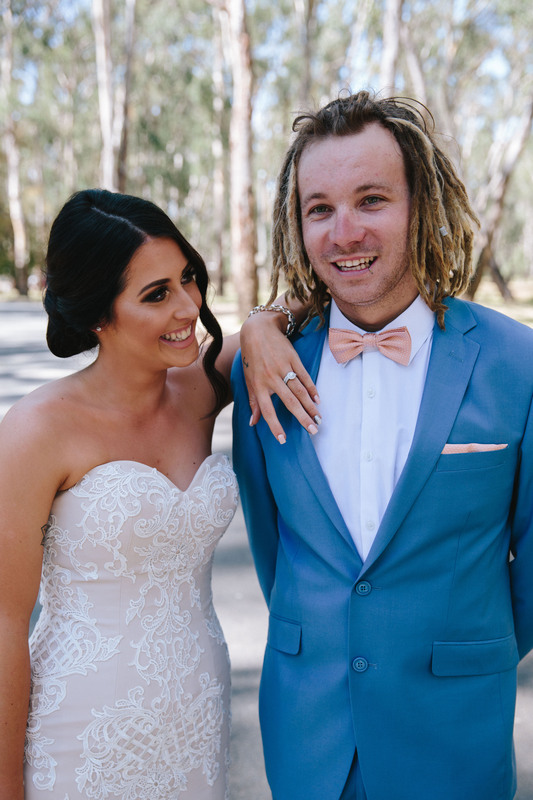 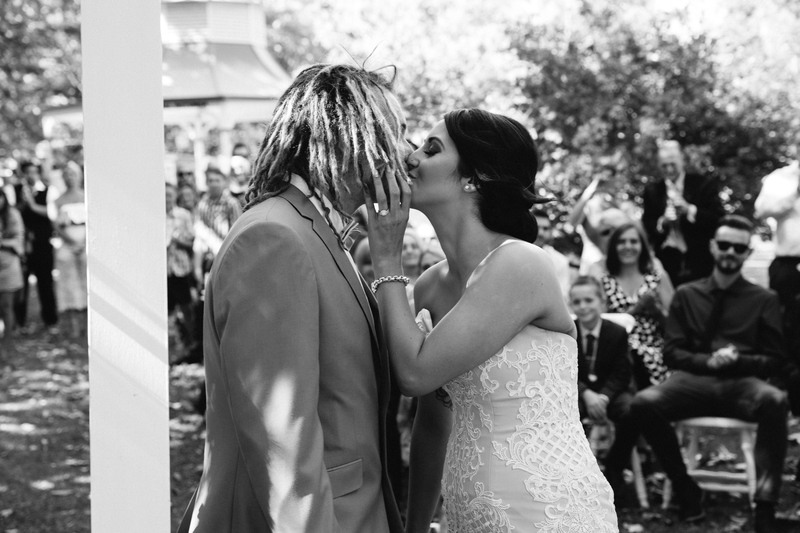 Relaxed, fun and effortlessly beautiful, the wedding of high school sweethearts Anna Rowland and Matt Sullivan was a reflection of their relationship. 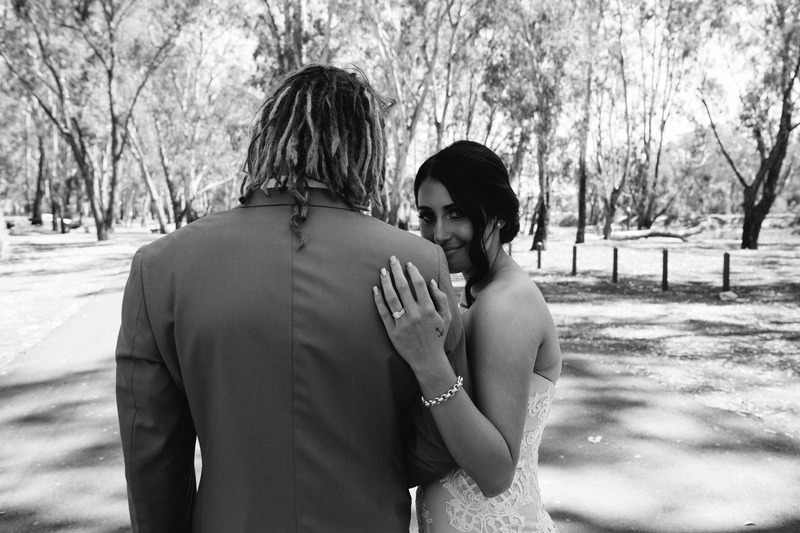 Exchanging vows in the Barooga Botanical Gardens, they rewrote the rules and created a day perfect for them. 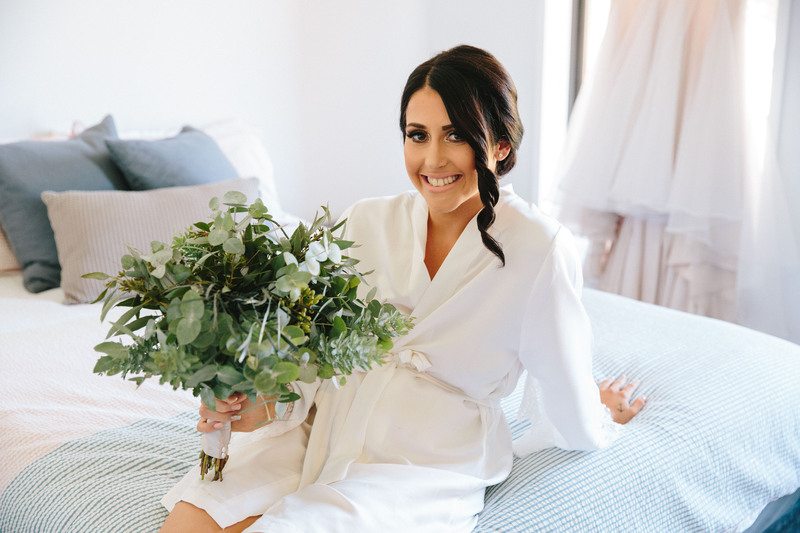 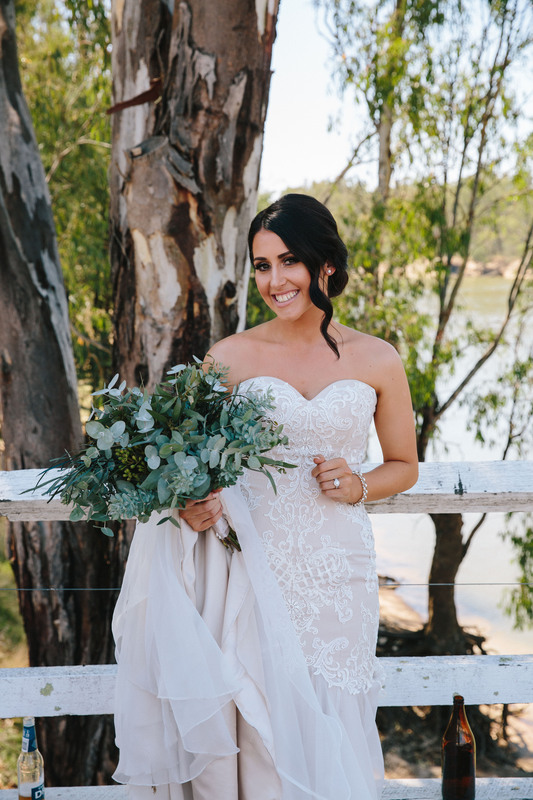 Opting for a lush, natural wedding, Anna decided to buck tradition and do away with flowers, walking down the aisle with a vibrant bouquet of greenery and foliage. 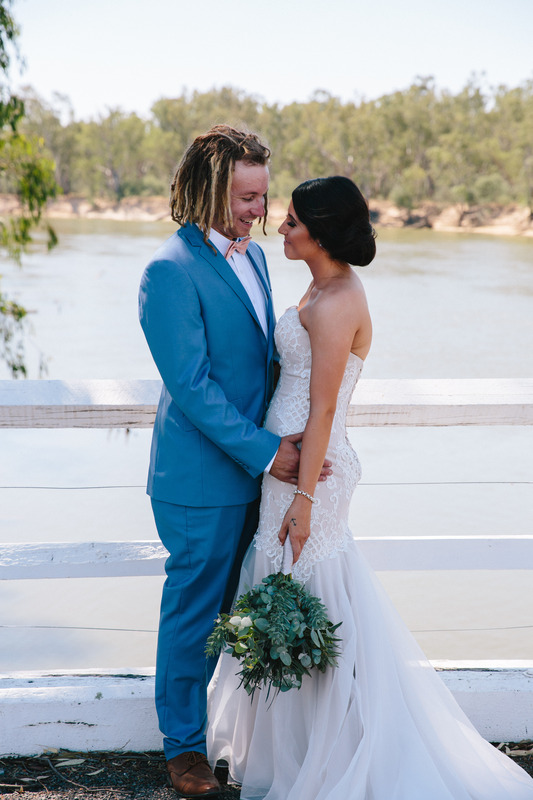 The perfect answer to her desire for a simple and unique wedding, she said it was the perfect element to complement the wedding’s stunning location. 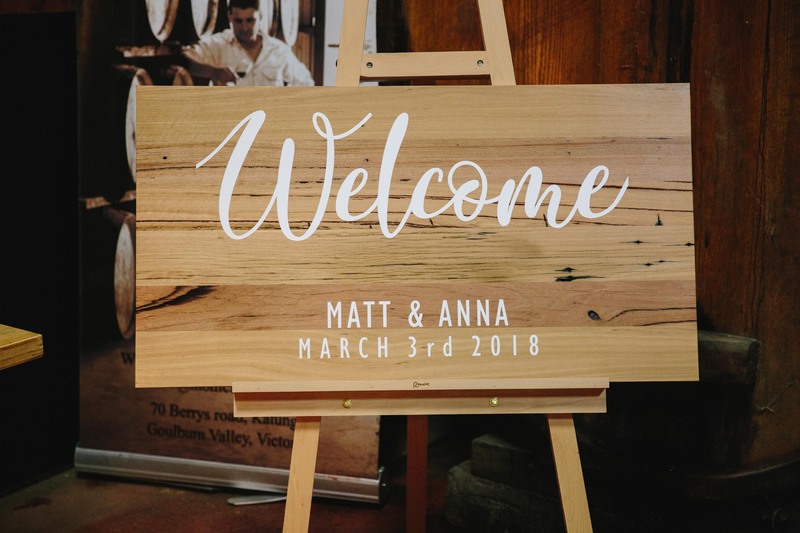 For Anna and Matt, their wedding was a chance for everyone to mix, mingle and enjoy the evening and saw the couple do away with the traditional sit-down dinner. 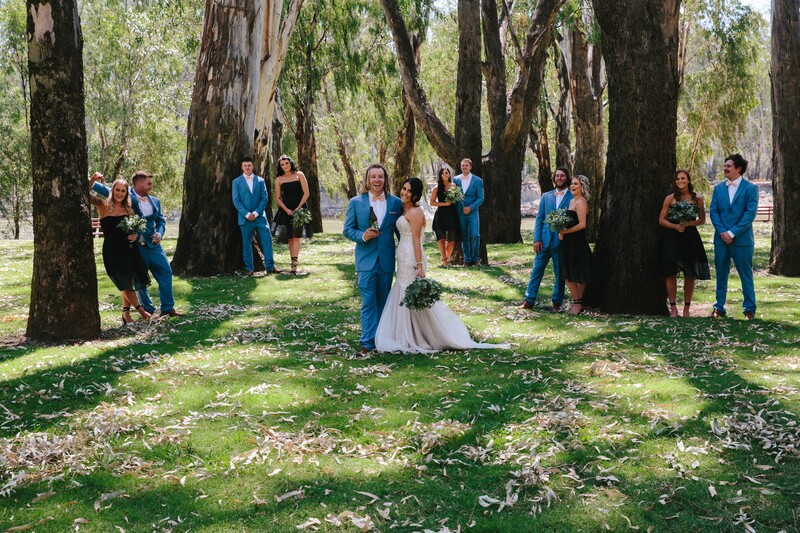 Their cocktail-style reception featured traditional wood-fire pizzas and finger food in the vineyard until dusk, before the formalities and dancing got under way. 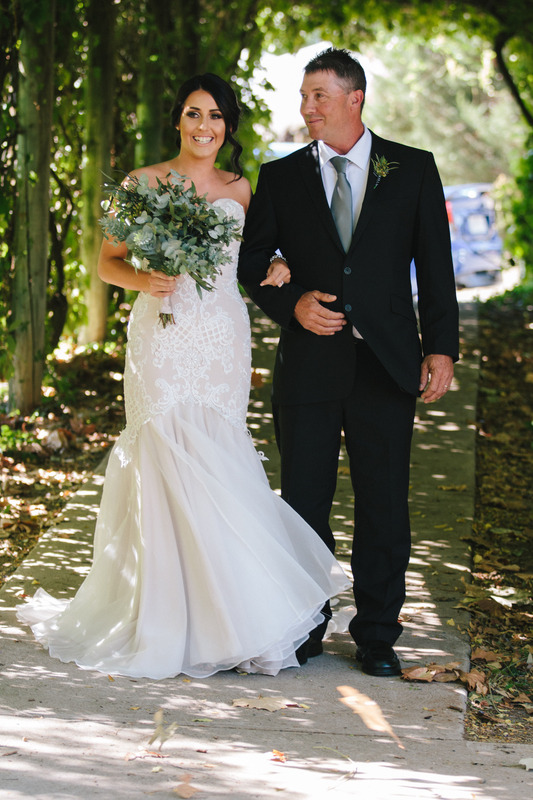 While the bride walking down the aisle is normally the first glimpse the groom gets of his future wife, it wasn’t the case for Anna and Matt, who decided to capture their wedding day before the wedding started. 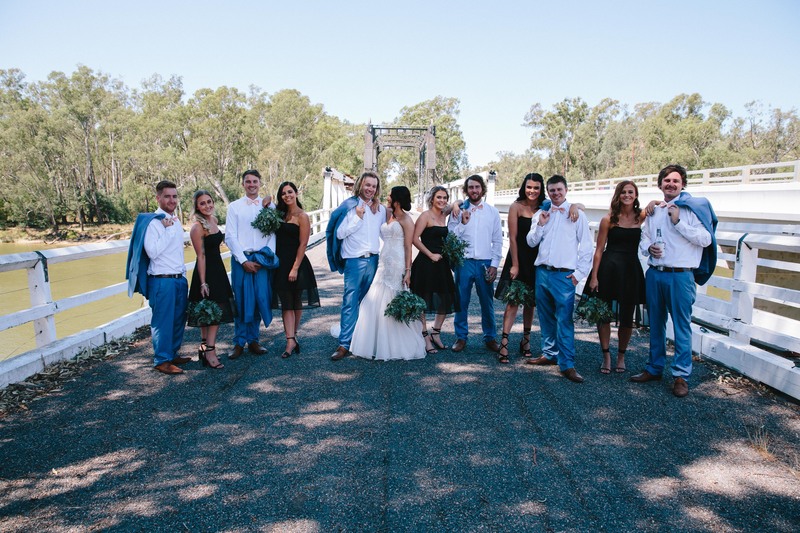 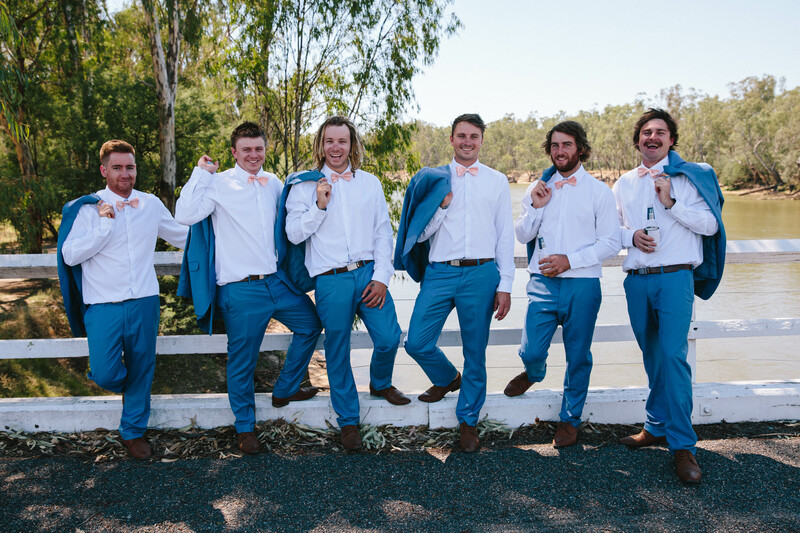 “This was something I really wanted to do and meant straight after our late ceremony we could go to the reception and engage with our guests and we weren’t worried about running out of time and daylight,” Anna said. 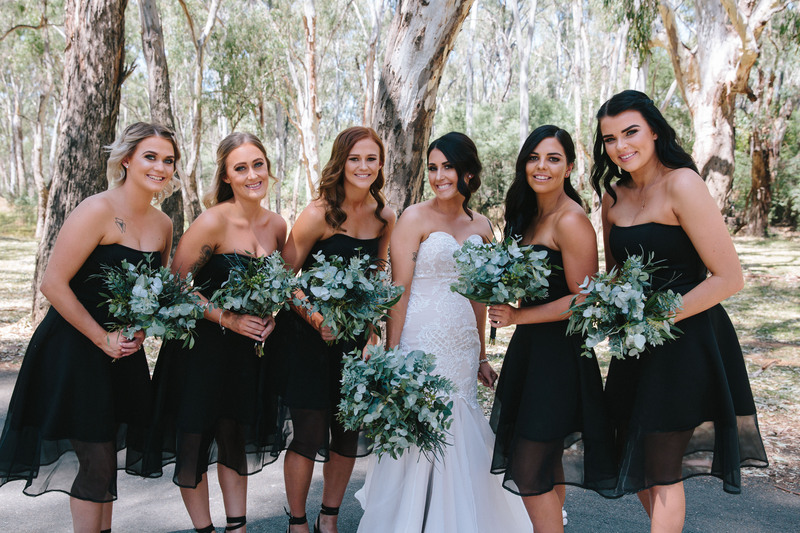 We love: The combination of Anna's bridesmaids' LBDs and bouquets of greenery. 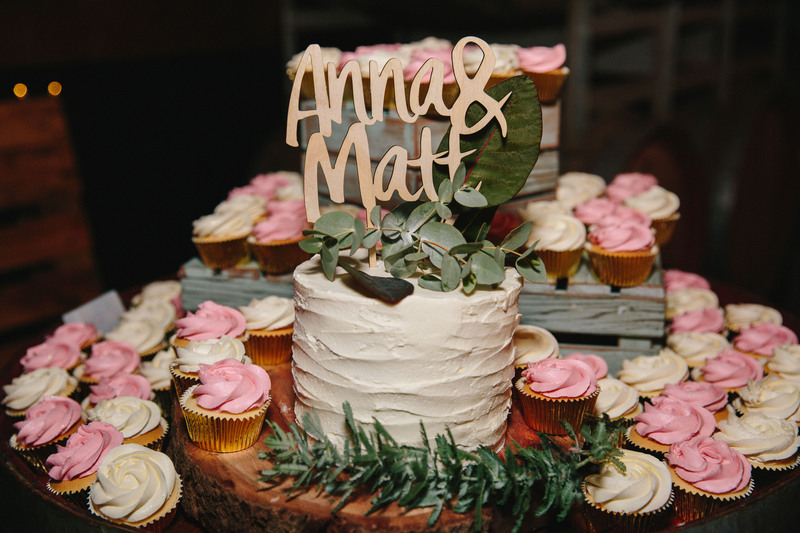 See more photos from Anna and Matt's celebration over on our Instagram.